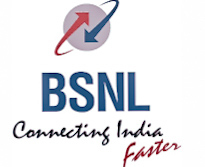 Government telecom company BSNL has launched a new broadband plan, which can compete with other telecom operators in broadband service. This plan has been mainly brought from regional companies - Spectranet and ACT Fibernate with the intention of "overtaking". The new BSNL plan is 777 rupees monthly, which is named Fibro combo ULD 777. In this, the user will get 500 GB data, which will be 50 Mbps. This plan came with validity of 30 days. This plan will provide calling benefits to the users, which will be applicable throughout the country. Fibro combo ULD 777 Broadband plan will allow Internet access at a speed of 2 Mbps after FUP. Users can choose it for 1,2 or 3 years, which will cost Rs 8547, Rs 16,317 and Rs 23,310. It will take 1 month security tariff from the new AFT user. In addition, BSNL has also launched Fibro combo ULD 1277, which will give the user the post FUP speed of 2 Mbps. It would be Rs 14,047, Rs 26,817 and Rs 38,310. These plans have come from 1 to 3 years. The new FTTH plan came after the company's newly updated broadband plan. Non-FTTH options, starting from 99 rupees and going up to Rs 399 monthly. These plans give data up to 20 Mbps for the user, whose FUP speed is 1 Mbps. These plans give unlimited calls to the users throughout the country. Talking about BSNL's 777-rupee plan, Airtel is offering 40 GB of data speed with FUP limit of 150 GB. The price of this plan is 899 rupees. Like BSNL, Airtel is also offering unlimited local and STD voice calling benefits to the user. Prepaid BSNL, postpack rival Jio is not currently in the broadband area. However, there are reports of early arrival of Jio Fiber, which in the beginning will give customers the benefit of Internet service at a lower cost.